Beaded curve hugging trumpet dress by designer Essense of Australia. 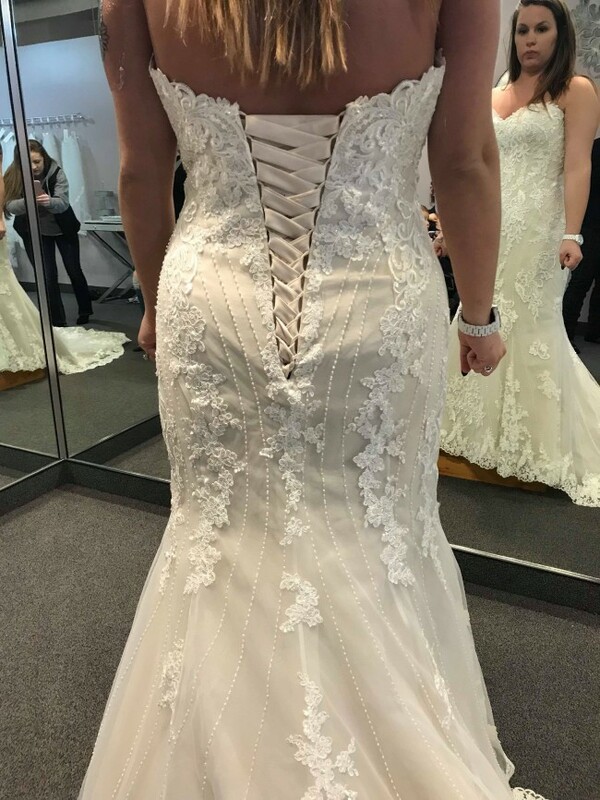 Bought brand new, made for me from designer, worn only at wedding & switched to a new dress for reception, so really only 3-4 hours of wear! Beautiful details, loved my dress!! Took dress in a bit smaller than size 12, fitted tighter in waist & hips for a curvier appearance, hemmed some off the bottom of dress. Once you send a message, Jaycee can invite you to purchase the dress.